Praying for Jerusalem is Praying for the World" is a real jazz concert experience. Gregory LéDon, acclaimed saxophonist, flautist and composer, calls for world peace by way of jazz. 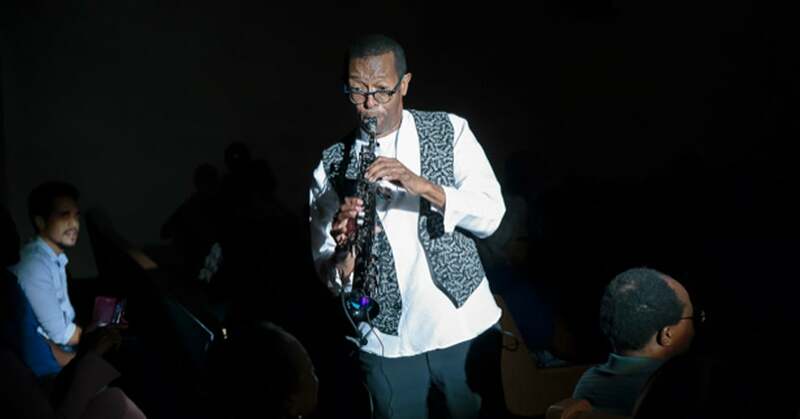 As a saxophonist, LeDon’s talent is unmatched, but it is his vision that sets him apart. Once confined to a hospital bed with blood clots in his lungs, LeDon asked for healing with the earnest promise that he would use his gift to change the world. Delivering remarkable renditions of original songs and classic favorites, his team of talented musicians treat listeners to a meeting of the minds at every concert. Bach’s “Toccata and Fugue”, Dizzy Gillespie’s “A Night in Tunisia”, and the magic of John Coltrane’s iconic style with the reggae wonderment of Bob Marley will leave you delighted. He also surprises guests with a powerhouse performance of “Hava Nagila”. As a master of music and purveyor of culture the world over, Gregory LeDon truly puts on a show that is not to be missed. $50.00 tickets include meet & greet with the Gregory LeDon.